Set is a unordered collection of simillar datatype elements. Set doesn't allow duplicate elemets. Set will not maintain insertion order. 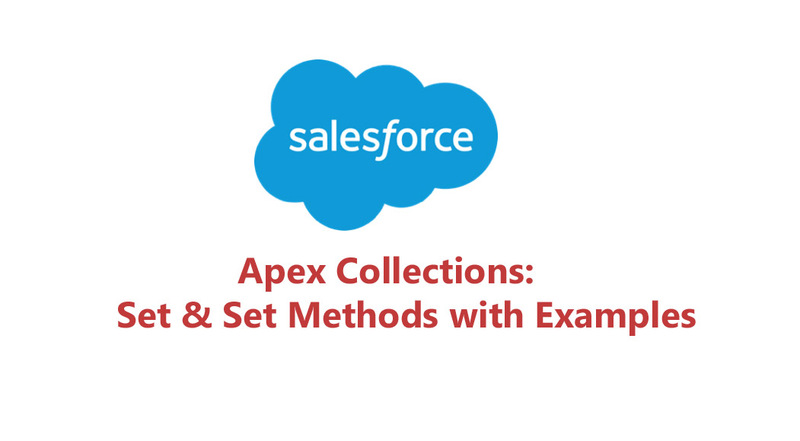 Salesforce has predefined Apex class called Set .This class contains methods required to support the operations on the set . 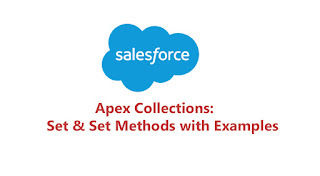 add(ele): This method is used to add new elements into the set . addAll(set/list) : This method is used to add list /set of elements to a set . ages.addAll(values); // All the elements in the values are added to ages. remove(ele) : This method is used to remove given element from the set. removeAll(list/set) : This method is used to remove list or set of elements from the set. ages.removeAll(values); // All the elements which are in values ,remove them from the set ages. clear(): This method will remove all the elements from the set . size() : This will return count of no of elements in the set . contains(ele) : This method will return true ,if the set contains the given element. retainAll(set/list): This will retain the common elements in the set and given list/set. isEmpty() : This will return true if the set is empty .